Often selling for 50 million USD or more, their iconic status attracts rich and influential people from around the globe who want to make it in Turkey’s elite social circles. Owning a property on the Bosphorus shoreline is not only a sign of wealth and prestige but a great honour because many date from the Ottoman era. Approximately 620 yali villas line the Bosphorus in neighbourhoods like Bebek, Ortakoy, Tarabya, and Uskudar. Most are 19th and 20th-century builds, and as was common in those times, architects designed them with wood. Each house is unique with a specific style and architectural type, and 320 are under protected status so owners must get permission for renovation and modernisation. In history, influential members of Ottoman society used them as summer retreat homes. These days, some operate as museums, hotels, and venues for hire for events like weddings. However the inside of privately owned yalis are a mystery and now take pride of place as Turkey’s most expensive houses. Unfortunately, Amcazade Koprulu Huseiyn Pasha Yalisi, the oldest villa dating from 1699, is just a shadow of its former glory. Featuring 20 rooms and sitting in the Beykoz district, its wooden architecture was renowned, but these days it looks run down and in desperate need of modernisation. 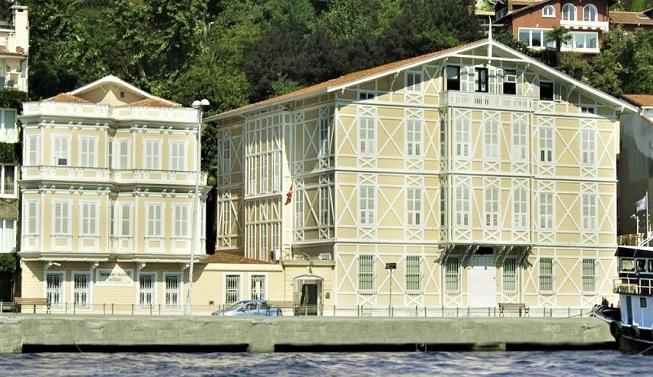 Within the Sariyer district in European Istanbul, the second oldest, the Serifler Mansion dates from 1782. In the European Sariyer district, Erbilgin Mansion earned international fame when it sold for 100 million euros in 2015. Purchased by Qatari businessman Abdulhadi Mana Al Hajri, Forbes listed it as the fifth most expensive house in the world. The luxury house covering over 5000 square meters and built in a neo-baroque style has a staggering 64 rooms. In April 2018, Hekimbasi Salih Efendi Mansion shot to international fame in dramatic style after a tanker crashed into it. The tanker which reports said had a stuck rudder, ripped off the front facade and collapsed the upper floor. No-one was inside when the incident happened, but the owners say the historical value of the property was destroyed and put rebuilding costs at a 50 million USD. 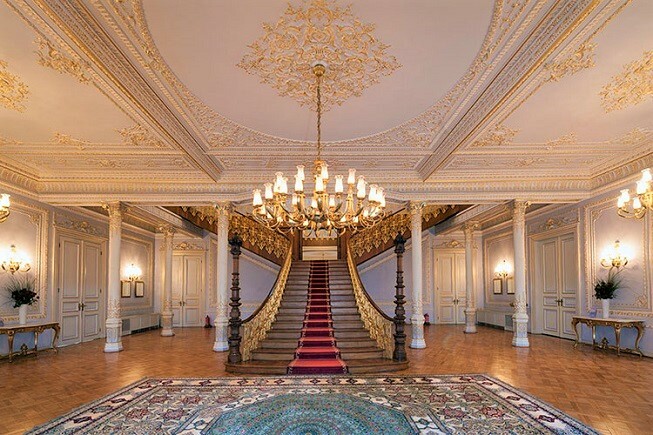 Although it's closed for the near future, Hekimbasi is one of a few venues renting out rooms for events like weddings, while Sait Halem Pasha mansion offers a unique Ottoman setting for all occasions including conferences. If you don’t have an excuse to organise a lavish event, the Les Ottoman Hotel is a converted 18th-century yali, as is the 18th century Fuat Pasha Yali and they also open their bar and restaurant to the public. The 19th century, restored Sadberk Hanim Museum is open to the public every day except Wednesday. Sitting in the Sariyer district, the prominent and wealthy Koc family bought it in 1950. They used it as a summer retreat until 1978 when they converted it into a 3-story museum. In 1983, they purchased the yali next door and undertook extensive restoration work to repair it to its former glory. While the above are great ways to see inside a Bosphorus mansion, we prefer a ferry trip leaving from Eminonu harbour. As well as seeing important properties sitting shore side, other sites await you like the Dolmabahce Palace and Rumel Castle. By far, this is the best way to not only see the luxury homes but also immerse in local culture. 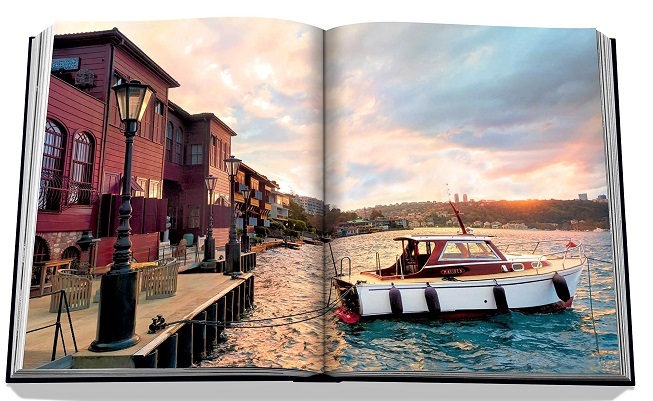 To know more about the luxury homes of Istanbul, buy the Bosphorus Lifestyle book by author Nevbahar Koc. He gained access into the inside of 19 prominent Bosphorus mansions, and in his book he tells how the houses have transitioned from their iconic status to be a part of modern Istanbul. Ottoman Chic by Serdar Gulgen is another book that peaks behind the curtains of his waterside Istanbul villa. Alternatively, see yali villas and apartments for sale in Istanbul here. As well as restoring old houses, many constructors are using their unique architectural design to build new yali houses combining Ottoman nostalgia with perks of a modern lifestyle.